Joanie's Classy Card Corner: I'M A SURVIVOR !! 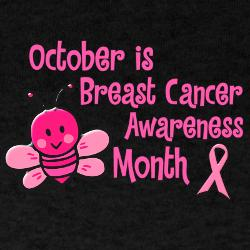 Good Morning, here is my last post for the month of September for Link Up for Pink, whew...where has the month gone? Well, today I have turned my thoughts to the survivors. Gosh, how I hope and pray each and every one of you fighting the battle can say that. 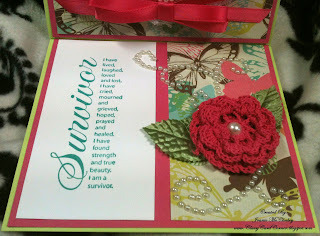 I have done many cards on here for all that are fighting, hoping, praying, believing, having strength and courage and the love from family and friends to win the battle, but today I thought I would do a card for the survivors who have been through so very much and did all they could do and did finally win the battle. So here's my post for them and I would like to say I am so thankful ... "YOU'RE A SURVIVOR". Best wishes forever!! Secondly, guess what starts on October 1st???? 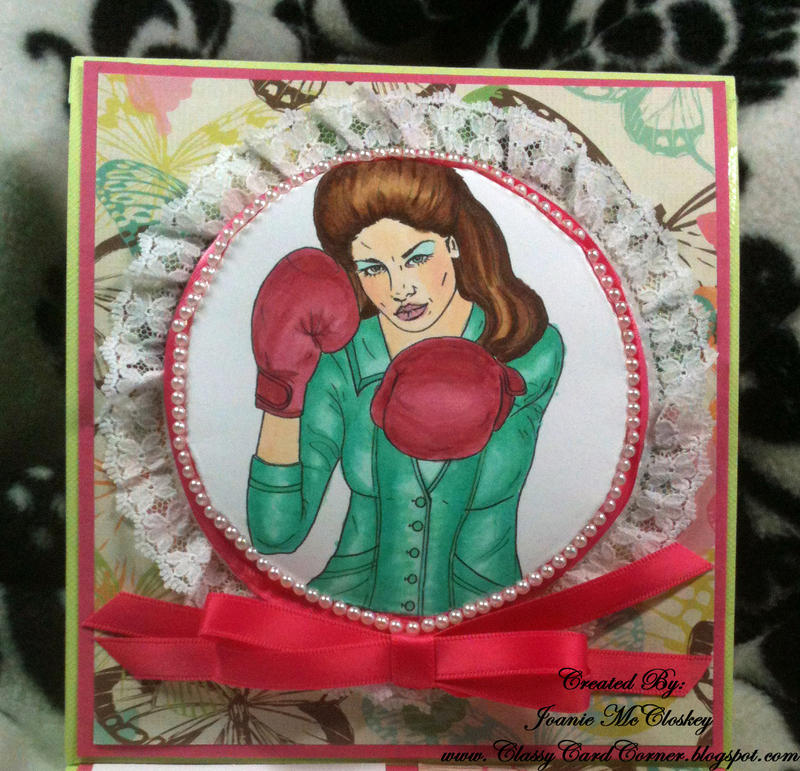 Digi Darla Designs said that, "each person will receive a coupon code for a free digital image worth $3 to Digi Darla. Only one per person. Although they can enter as many times as they want for the chance to win the other prizes being offered." Okay, post a card, win a prize, now it can't get any easier then that. So scrappers get your mojo on the flow, start scrappin' and make it happin, and I hope to see lots of Pink being posted and the best of luck to all who participate. Well, I guess I better end here because I could really go on and on about all the fun, winning lots of prizes, seeing all the beautiful cards being posted and remembering it's all for a great cause, Breast Cancer Awareness. So until next time, take care and God Bless. 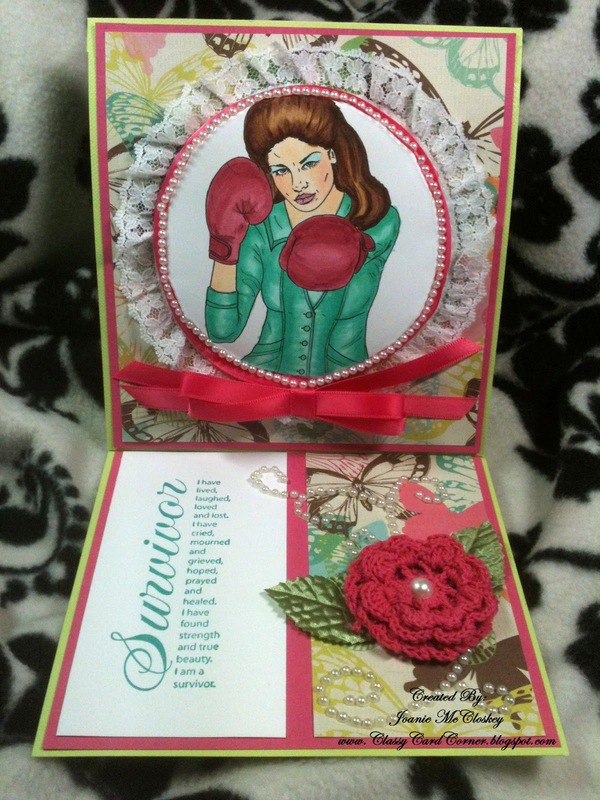 AMAZING AMAZING CARD!!!! wow! beautiful for many reasons, too! have a great day! 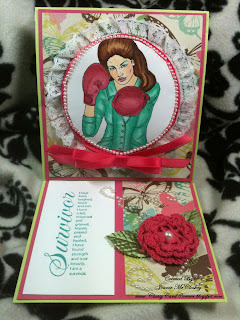 another beauty, as all your creations are, I would appreciate you going to Heartfelt Creations blog and voting for me. thanks hon!! GORGEOUS!!!! Love the embellies, love it all! !